Michael Perkola is an expert teacher of yoga and meditation. He teaches awareness and mastery of the body through the practice of Ashtanga Vinyasa Yoga. 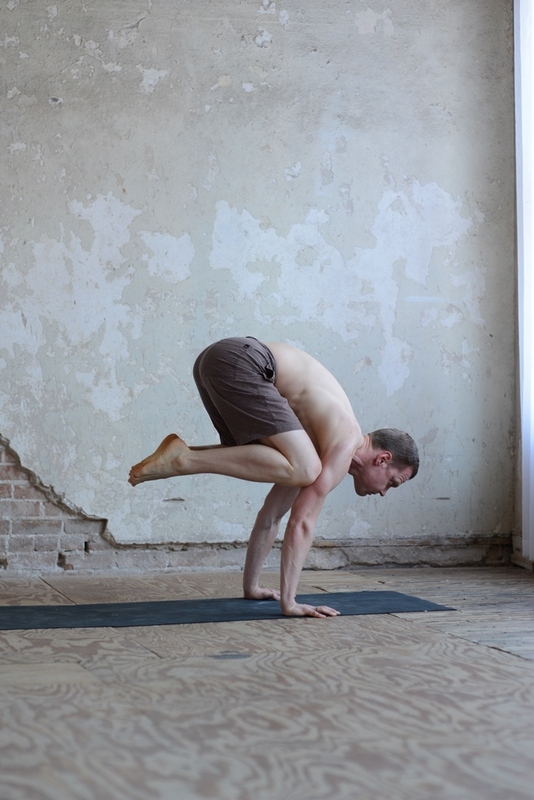 In 2013, he became a full-time yoga teacher and, in 2014, founded United Yoga Company, LLC. He has taught meditation and yoga at many of Houston's yoga studios, as well as at Life Time Fitness, Equinox River Oaks, and the Houston Ballet. Michael has learned from internationally notable teachers such as Robert Boustany, Diane Long, David Williams, David Swenson, Doug Swenson, Les Leventhal, David Regelin, and Ana Forrest. Michael has long pursued self-awareness and self-mastery, beginning with the study of Zen meditation at the age of 16. He received instruction in G.I. Gurdjieff's teachings in his twenties. He began teaching meditation in 2003 and subsequently founded or lead meditation study groups in Houston and Tokyo. Prior to his interest in yoga, Michael studied various martial arts, including competitive fencing in the United States and Japanese swordsmanship in Japan. He earned a Bachelor’s Degree of Business Administration from Texas Tech University. I wanted to take a moment to express how light I feel after having met and worked with you. I express myself best written, so I hope this does justice to my appreciation. Thank you, thank you, thank you. I've only taken 3 or 4 classes with you, the last being this morning when you subbed for Macy. Truthfully, I call it serendipity. Seeing you in the class made me content and I was overwhelmed with confidence. Not really a type of self-confidence, more of a feeling of assurance that I'm in good hands. Not to my surprise, I left the class up in the air, with a smile on my face. I believe your educated, thoughtful, and minimalist style of teaching is just what I've been seeking in my yoga practice. I hope to take as many classes with you as possible. I already got my eyes on your Saturday classes. Mindfulness is another thing I've been consistently thriving to be better at, so I'm beyond excited to take your meditation class. I recommended you because, just from your one class, it made a big difference for me after months of [meditation] practice. Yesterday, I had a rather painful medical procedure akin to being stabbed in the back by a ninja. I meditated through the whole thing with only mild discomfort. The doctors were amazed. Even more shocking was that I was able to lower my blood pressure from 135 over 80 to 75 over 58 during the procedure. That’s how focused I was. The doctor told me, “Ok, you can stop the meditation now. Make it go back up!” And I did in a matter of minutes. I then drove to work and stayed there the rest of the day. Michael is so good. I’ve taken three classes with him. After I took his yoga class, I wondered what I was doing in other classes? Were they just entertainment? He knows the real yoga and the muscles and movements. This was my first yoga class with you. This was the first time that my lower back didn’t hurt in savasana. My sincerest thanks to Michael Perkola for providing instruction on his myofascial release and recovery techniques. As a person who runs 40+ miles a week, I have been struggling with a discomfort in my leg and shoulder for several months. After performing Michael's techniques before and after my recent long runs, I have experienced zero pain. My highest recommendation to anyone who is a runner or fitness lover to seek out Michael's expertise! I don't know if your remember me from more than a year ago, but I just wanted to say thank you for teaching me Downward-Facing Dog and Chaturanga. My shoulders stopped hurting in yoga after you.